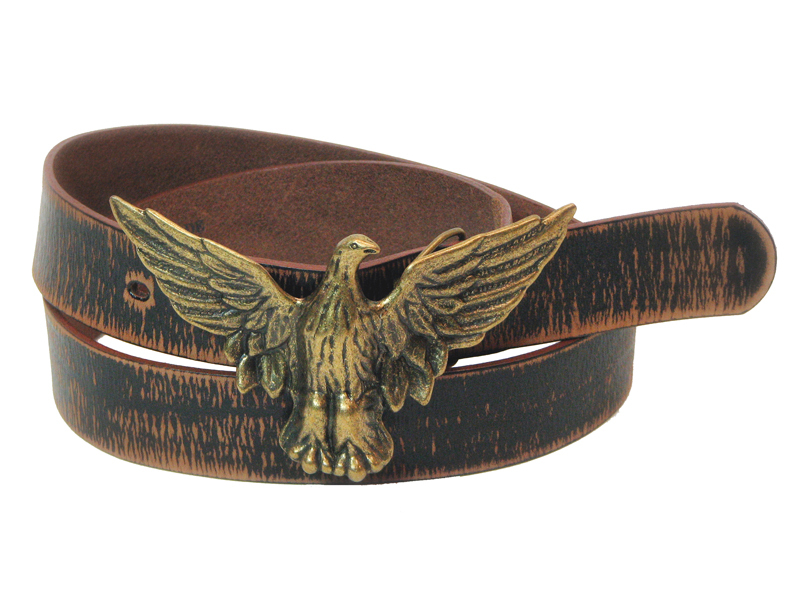 This belt is 38mm (1½″) wide and made from high quality Italian leather. The buckle features an eagle with upward pointing spread wings. The buckle has 3 finish options and is made from tough zinc alloy. The leather has been distressed and aged to give that worn in look. A belt loop is optional for this belt.